A registered teacher with the Royal Academy of Dance. She trained at the Hammond School in Chester as a junior and senior student under the direction of Betty Hassall, and teachers, Alan Hooper and Valerie Taylor, former soloists with the Royal Ballet. Yvonne then moved to London to continue professional stage training with the highly acclaimed classical ballet teacher Andrew Hardie (an ex-pupil of Nicholas Legat) also attending classes at the Royal Academy of Dance and the London Dance Centre. 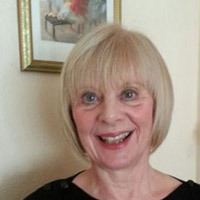 Yvonne has been teaching ballet for over 30 years and in 1984 started Step One Dance School. This has now developed into a thriving performing arts school, offering a comprehensive range of practical classes to over 300 students. Yvonne was inspired by her own ballet children to create a sparkly ballet shoe that would light up and sparkle when they danced…… and so Twinklesteps was born - a little girl who is also a fairy, who loves to dance and has shoes that sparkle when she dances. The Twinklesteps character has been has been brought to life with the wonderful illustrations from acclaimed artist, Lisa Williams and exciting adventure stories by author Andrea Wilder, Marie Leverett continues to bring Twinklesteps' character to life on Facebook and Twitter. Twinklesteps has developed into an inspiring role model encouraging young children to dance. The character and her story book ‘Twinklesteps and the Disappearing Birdsong’ has been the inspiration for the new ‘Dance with Twinklesteps’ syllabus. 'Dance with Twinklesteps' a new and exciting dance programme created by Yvonne and Stephanie with the aim of introducing dance/ballet and a love of music to young children in a fun and imaginative way. The syllabus aims to give a good foundation in ballet/dance to all children regardless of ability with the help of their imaginary fairy friend ‘Twinklesteps’. The syllabus is now gaining momentum around the United Kingdom with classes starting up in Scotland, England and Wales. Lots of happy 3-6 year olds are enjoying the world of ballet and dance through imagination and play: looking for the Goblin, exploring Twinklesteps’ garden and lots,lots more. We also have teachers in the US and Australia as well as Ireland and countries in the rest of Europe who are interested in using the Syllabus – if you would like to find out more about classes in your area or if you are a teacher and would like to teach the programme in your school contact us at info@twinklesteps.com or telephone +44(0)1492532822 mobile +44(0)7737930818. 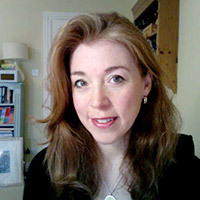 Lisa grew up in N. Wales and has had a long and varied career as an illustrator. After graduating, she spent a brief spell working in a bouncy castle factory which helped her develop a more commercial/cartoon style - an approach to illustration that has led to numerous educational and children's book commissions. Highly sought after and always busy, Lisa was delighted to come on board with Twinklesteps as it gives her an opportunity to combine her distinctive style with her lifelong love of dance. 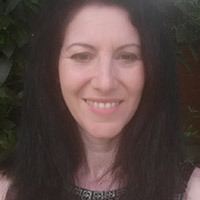 Andrea is originally from London and has over 25 years experience in the field of performing arts and education as a writer, teacher, actor, director, producer, musician and agent. A few years after graduating she met her future husband and ran away to join the circus with him! They now live in N. Wales with their two children and ever expanding menagerie of exotic pets. 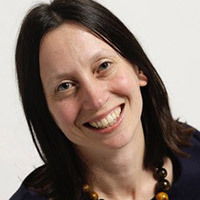 She has taught drama at Step One since 1994 and is excited to be developing the Twinklesteps stories, drawing on her years of experience working with young people. Stephanie Gardner (née Dunphy) comes from a musical family. A love of music was nurtured from birth, with both parents singing and playing musical instruments. She grew up with musical get-togethers (Céilidhs) as the norm most evenings. At age three, Stephanie’s mother began giving her piano lessons, so that by the time she started school, playing and reading music was well established.Although classically taught, Stephanie has explored all music genres and has a particular fondness for world folk traditions. She is a qualified teacher and has taught at both primary and secondary level. Her last appointment with the Department of Education in Northern Ireland was as a peripatetic music teacher in primary schools in Co. Tyrone, where she worked for 25 years.Stephanie has a special interest in the Kodály concept of music education and has taught young children to develop their musicality through singing. She has also written many songs to reflect this thinking, the songs being written in the pentatonic scale, making musical pitches easier and more natural for young voices. Stephanie and Yvonne’s friendship and working partnership is a long-standing one.They met for the first time while working in a ballet school in Co. Dublin when they were in their 20’s. Both have a special interest in teaching young children, with the aim of developing a love of music and dance through imagination and play. 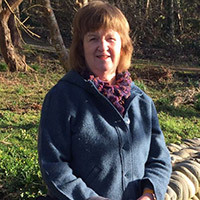 Marie is from the sunset glorious flatlands of Lincolnshire and after adventures in Reading, London and Bath and a trot around the globe she settled in beautiful Devon: a place of wilderness, magic and inspiration. Marie has her own social media business (March Hare Media), and much to her delight, took over online communications for Twinklesteps in 2012. She has since been inspired to take up adult ballet classes and has a 4 year old daughter who is Twinklesteps’ biggest fan!